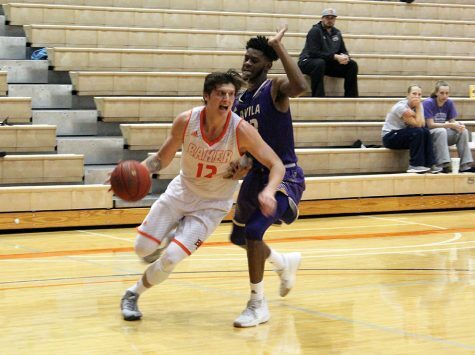 The men’s basketball team suffered its third straight loss on Saturday, falling on the road to Culver-Stockton College 66-52. 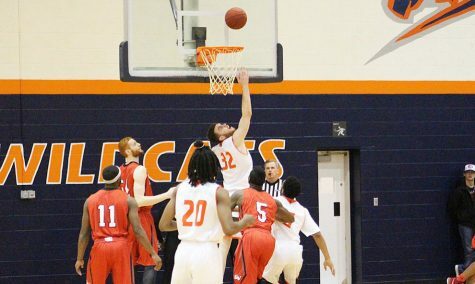 No Wildcat scored more than 9 points, and the team shot a season-low 29 percent on field goals, including 8-37 on 3-pointers. Junior Javeion Gray and sophomore Gregg Easter were the two leading scorers for the Wildcats with nine points each, and sophomore Daniel Young came off the bench to add eight for BU. Easter tied for the team lead in points in just 14 minutes of action. Jojuan Graham led all scorers with 23 points and added 8 rebounds and 2 steals for Culver-Stockton. 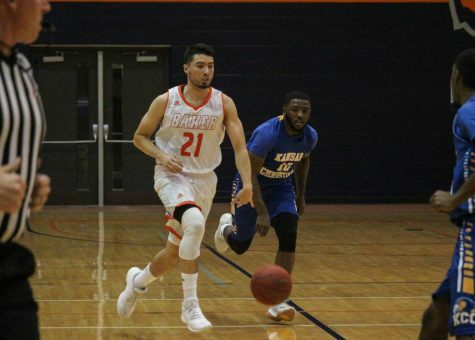 Graham is the fourth-leading scorer in the Heart of America Athletic Conference at 17.6 points per game. The Wildcats had control of the game for a good portion of the first half, but poor shooting caught up to them as they scored only five points in the last 9:55 of action, taking a 25-15 deficit into halftime. 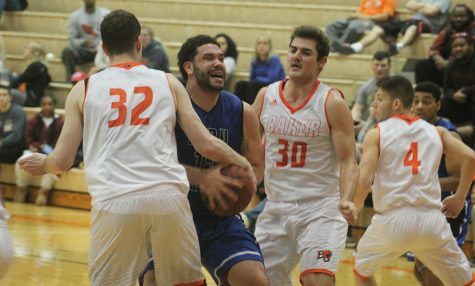 Culver-Stockton did not shoot particularly well, going 23-62 from the field in the game, but took 27 free-throw attempts to Baker’s eight, and outrebounded the Wildcats 50-41, including 15 offensive boards. 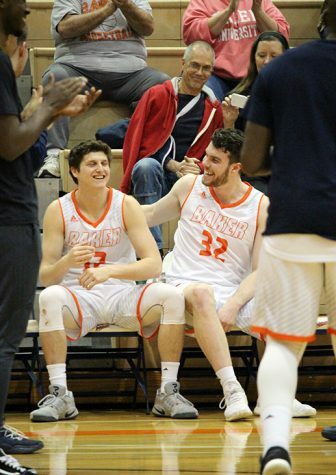 The Wildcats looked to regain the lead midway through the second half, pulling to within two points with 10:19 to go after a Young basket, and again a little over one minute later when junior Taylor Johnson hit a 3-pointer. That was the closest BU came to closing the gap for the rest of the game, as Culver went on a 9-0 run, holding Baker scoreless for almost five minutes. 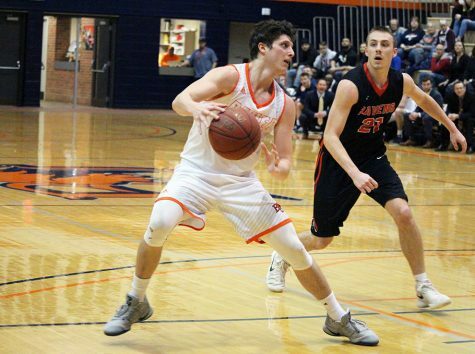 This was the second-lowest scoring output by the Wildcats all season, just ahead of the team’s 65-50 loss at Missouri Valley College on Jan. 30. Falling to 11-14 overall (7-11 in the Heart), the Wildcats will travel to Atchison on Wednesday to take on Benedictine College. 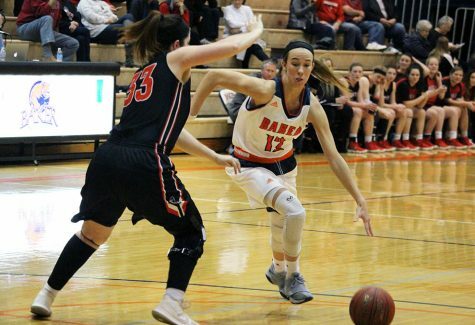 The Ravens are just one game ahead of Baker in the Heart at 8-10, and their first matchup of the season ended in a 76-71 Wildcat victory on Jan. 20.